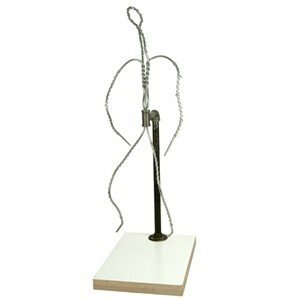 Our strong yet pliable 8" aluminum wire armature is built of non-staining, non-corrosive aluminum wire making it the perfect foundation for your clay modeling piece. The base is formica over heavy gauge plywood with a backiron of sturdy steel. 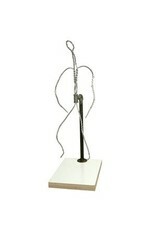 Designed and hand-made to provide a sturdy support structure for your sculpture.